At each of our Metal sites, we run regular free networking and sharing evenings for creatives at all levels of their careers. Artists working in all disciplines are welcome to drop by. If there’s a particular topic you’d like us to cover or an inspiring speaker you’d like us to invite, we’d love to hear your suggestions! 7.30pm – 8pm: Invited guest speaker, artist or performer, sometimes with an opportunity for Q&A or book signings. 8pm – 8.30pm: 10 x 3 Minute Wonders! 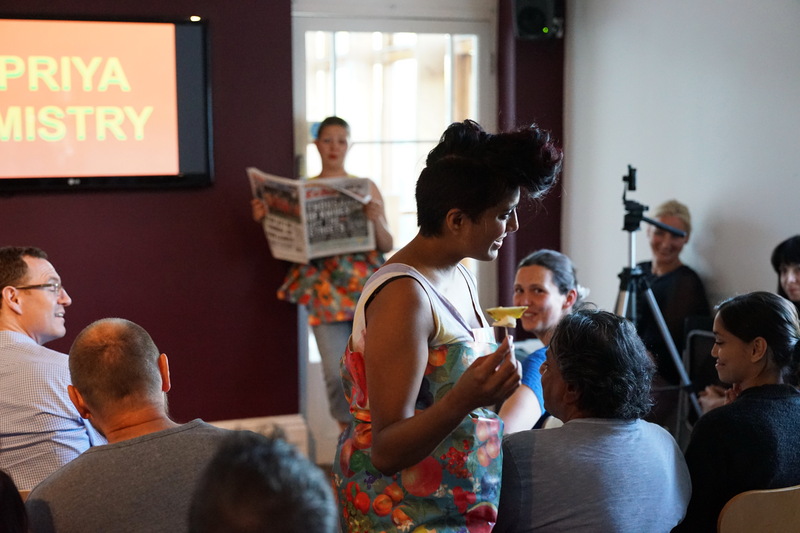 ‘Open mic’ style spots for artists to share ideas, performances, readings, artist talks, call-outs for collaborators….anything goes, and we often enjoy a few surprises. 8.30pm: Invited guest performer or workshop leader. 9pm – 10pm: Networking, music and drinks. See below for more info on the upcoming events at our three sites. Future Park at Chalkwell Hall, Chalkwell Avenue, Southend on Sea, SS0 8NB – see our forthcoming events here. Future Station at Edge Hill Station, Tunnel Road Liverpool, L7 6ND – see our forthcoming events here. Future Network at Chauffeurs Cottage St Peter’s Road Peterborough PE1 1YX – see our forthcoming events here.